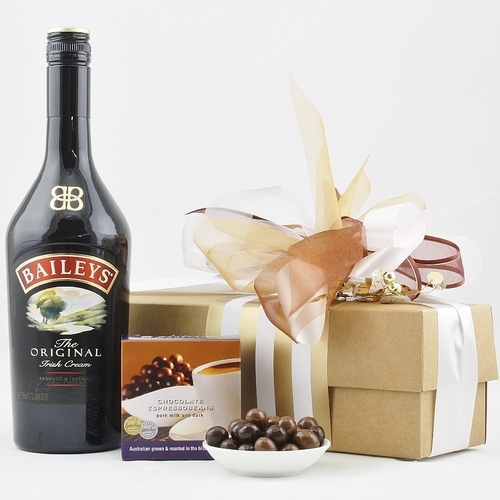 We use unbranded high quality gift boxes and hand tied ribbons just like you would do yourself. 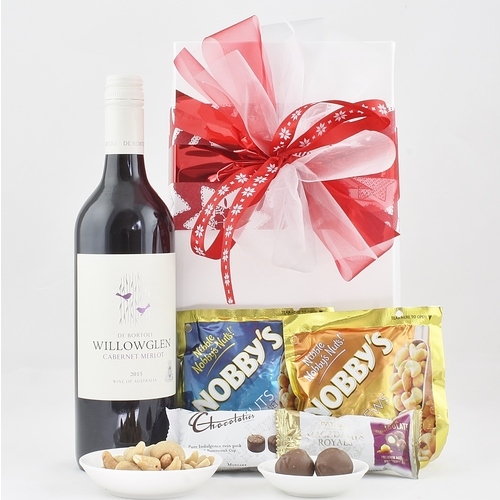 Personalised Christmas Gift Hampers with the best of Australian gourmet goods individually made and hand decorated to order. 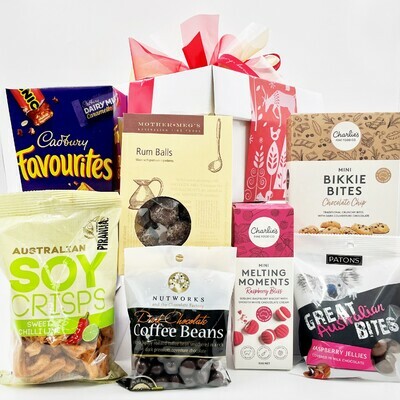 The best selection in Australia of more than 180 unique Christmas Hampers and Gift Baskets for you to choose from. 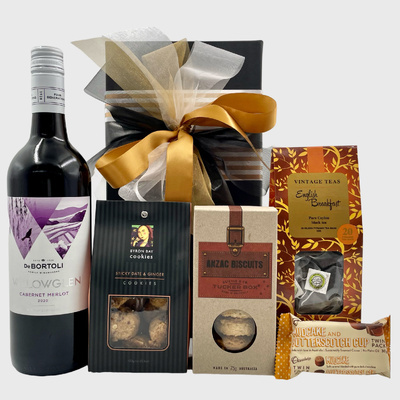 It is important that you gift hamper reaches its destination in the best possible condition during the hotter months leading up to Christmas in Australia. 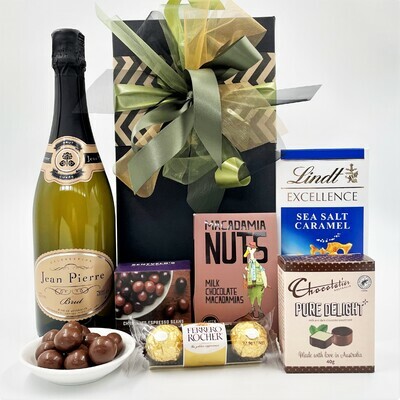 All individual hampers are delivered using an express service which can be in all capital cities next business day. Hamper Me does not offer a cheaper slower method of delivery other hamper companies factor into the hamper price as "free delivery". 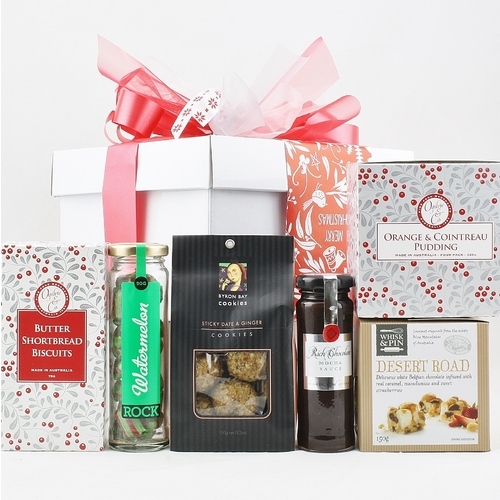 Why use Hamper Me for Christmas gift baskets and corporate gifts? 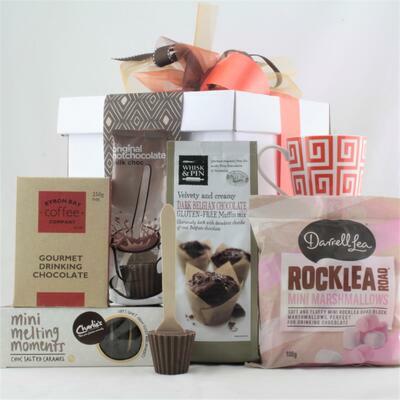 Hamper Me has been operating as a online gift hamper business since 2003. 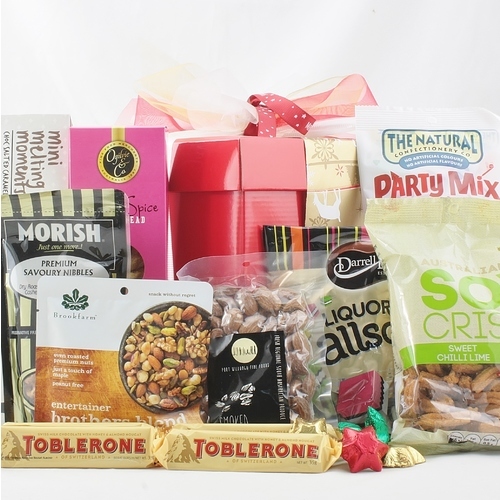 We create each hamper on the day of dispatch and individually hand decorate like a personal gift. We don't use generic branded boxes and sashes as we feel the hamper and message is from you not us. We strive to use the best of Australian and New Zealand products whenever possible other than the odd bottle of French Champagne or Irish Whisky. Hamper Me has many happy customers and we are happy to discuss any special requirements and changes to suit your needs. On the other side of the coin, it’s nice to receive and it always brings about a feeling of goodwill between the two people. That is why thanking corporate clients and customers around Christmas time and the holiday period with a gift is ideal. It shows that you appreciate their friendship and custom during the year and that you wish them well over the holidays. The History of Giving Christmas Gift Hampers. What’s the perfect Christmas corporate gift? Knowing what people consider as a perfect gift can, for most people, be difficult enough, but when it is a client it can be even more baffling. There may be some clients who you get to know on a more personal level but, for the most part, you may know very little about them and their likes and dislikes. Therefore, the gift you should buy should be one that is guaranteed to please most tastes. Gift certificates are practical but they can be a little impersonal and alcohol may not be everyone's cup of tea. The answer lies with Hamper Me and it is, of course, a gift hamper! 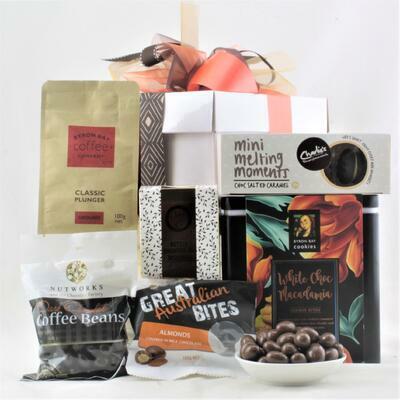 Hamper Me have a fantastic range of Christmas hampers to choose from and because there is always a selection of the finest and scrumptious goodies, if there is something that the recipients don’t like they can simply share, but they will still find items for themselves they enjoy. 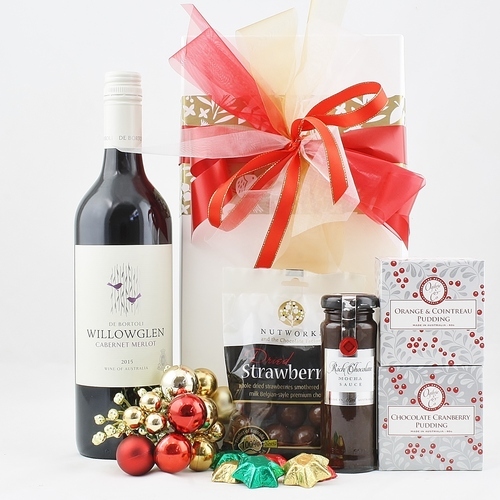 Because Christmas hampers can be delivered directly to your clients' doors if you wish, it means you won’t have to put off delivering your gift due to work commitments. This means that their gifts won’t be late and won't look like ‘last minute’ ideas. 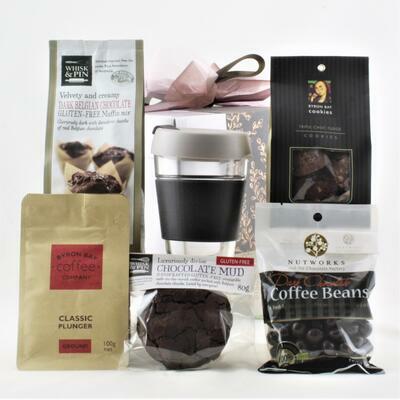 Another advantage of planning ahead for your corporate gift hampers is that you can have stationery items or office accessories, such as coffee mugs, added to each hamper with your company logo. So the next time your clients want to place an order for the product that you provide, your company name is right there, always reminding them of your service. 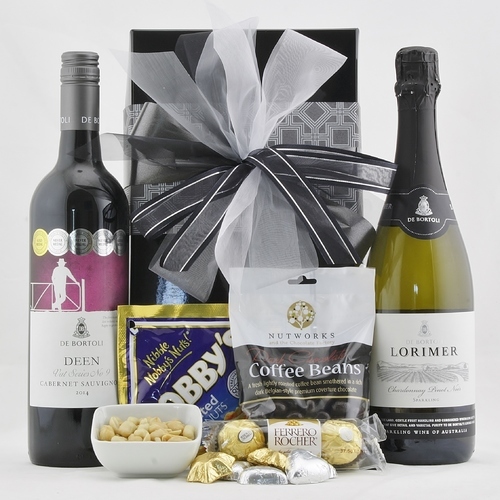 If you want to provide your company clients with the very best gift to celebrate the end of the working year, then you can get in touch with the hamper professionals at Hamper Me. As an employer, you probably like to give your employees something special each Christmas to show your appreciation for all of their hard work. After all, your business wouldn't be possible without them! However, it can start getting really old when you hand out the same old Myer or David Jones vouchers year after year. When your employees can predict precisely what they'll be receiving, then you know it's time to mix things up a bit. You're busy, though, and probably don't have the time to brainstorm a ton of creative different ideas. Fortunately, there's a versatile - and unique - solution: Christmas hampers. Discover the many reasons why Christmas baskets are such a great idea. In order to run a business proficiently, you need to carefully budget and account for every single expense. Your Christmas gifts, then, also must fit within your budget. The beauty of gift baskets is that they are available in every size, shape and configuration imaginable. Because of that, they are also available at many different prices. 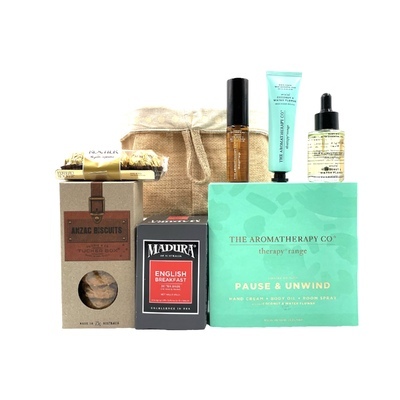 Whether you have a very constricted budget or one where the sky is the limit, you can find just the right thing when you pick out gift hampers. The best part? Low priced or high end, gift baskets also look stunning - and are always greatly appreciated. Most employees expect to receive their Christmas gift at the office. Usually, the last day before the holiday the boss or manager rounds everybody up and hands out the gifts. In other words, there is really no element of surprise involved in gift giving at the office most of the time. 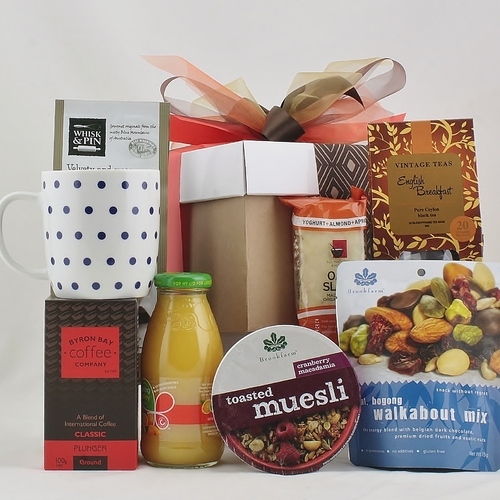 Gift baskets are neat, though, because you can have them delivered directly to your employees' homes and give them a real surprise. They won't be expecting a package to arrive, and when they realise that it's a gift hamper from their employer they will be doubly pleased. 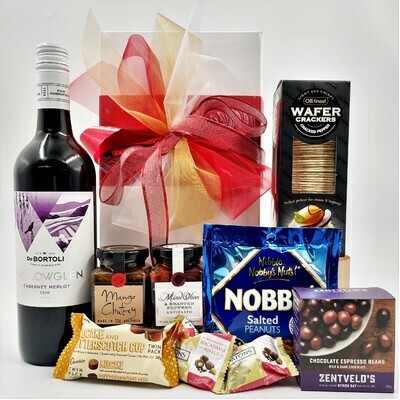 Unlike a gift voucher or some other traditional present, gift baskets are excellent because employees can bring them home - or open them at home after they're delivered - and share the contents with their friends and family. 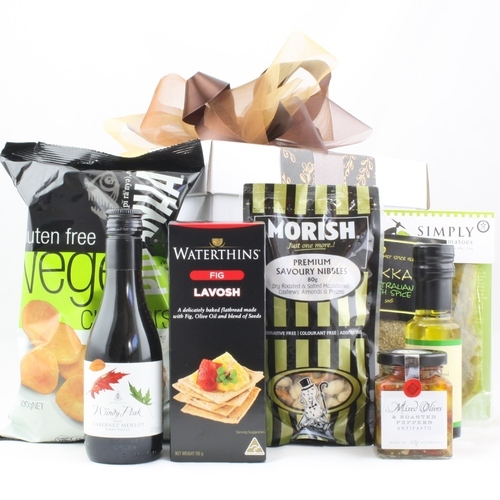 The gift hampers that you give your employees, then, can be enjoyed by many other people who will all be very impressed. 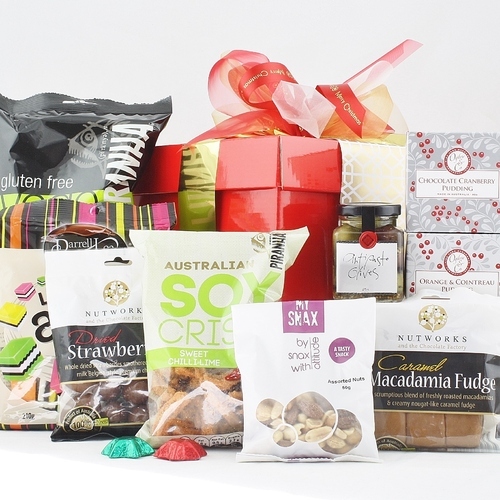 Upon unwrapping their Christmas hamper, your employees can then dig in and enjoy the bounty of delicious treats that are within. Usually, those baskets will last for at least a few days, meaning that they can be enjoyed again and again. 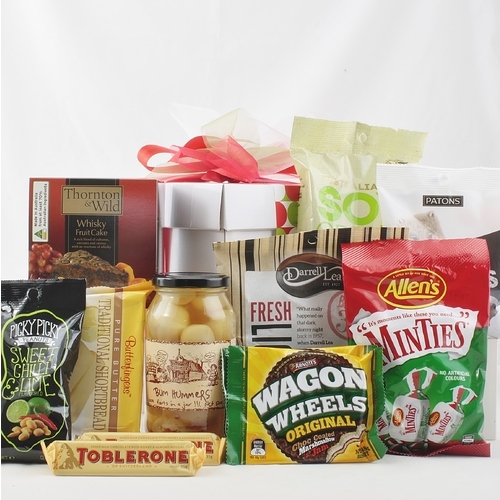 Without a doubt, gift hampers are great options for employees at Christmas time. When the calendar flips over to December each year, I reach for pen and paper and start making lists. Lists help keep my head clear of clutter so that I can concentrate on the important stuff. This year, I realised I needed a list of all the lists I needed to write. 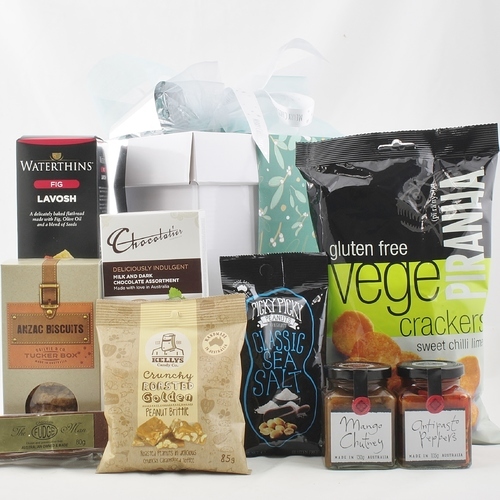 It’s lucky that I own a gourmet gift hamper business so that the gift buying part is easy. And my family and friends never tire of receiving a hamper. 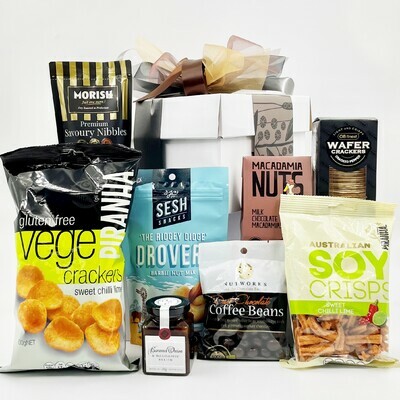 At Hamper Me, we are always updating our catalogue of available hampers with new and delicious products, and we strive to stock our hampers with Australian goods wherever possible. 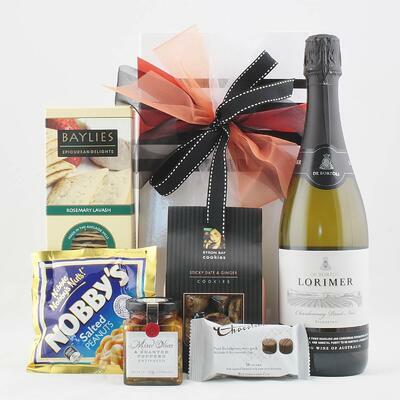 Our new 2018 Australian Christmas Gift Hampers now online. Remember, the early bird catches the worm, so order early as stock flies out the door during this busy period.